Mother's Day gift for a sweet-toothed mammy? Look no further. Deliveroo has teamed up with floral food company, IncrEdible Flowers, to make their bespoke chocolate boxes available for Cork customers. "We think the Berry Box Love is the perfect way to show your mum you’re thinking of her this Mother’s Day - it’s thoughtful, unique, and thanks to Deliveroo - it couldn’t be easier to get your hands on," said Deliveroo's Joe Groves. 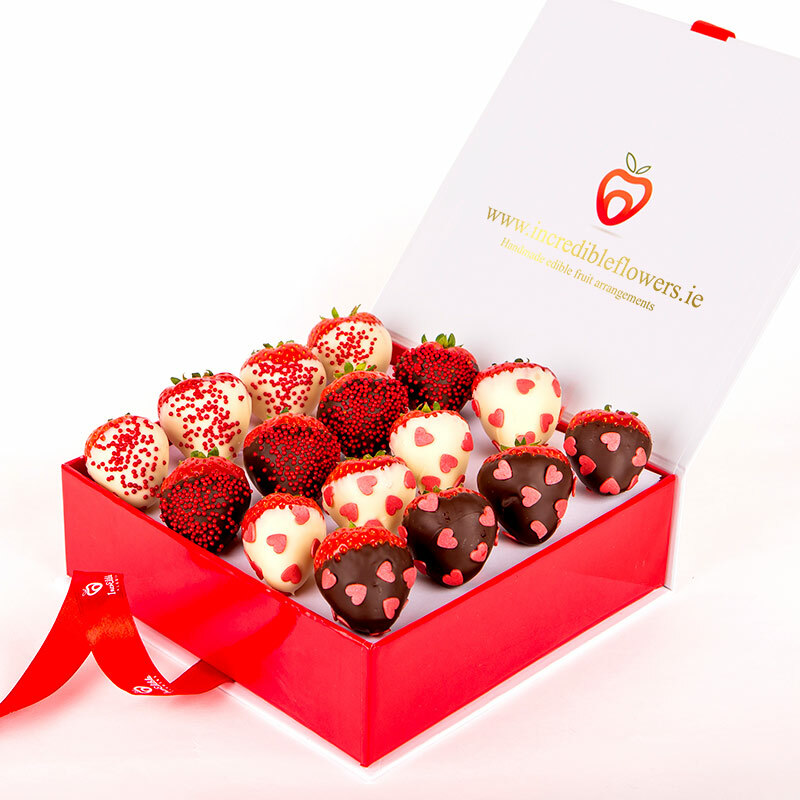 IncrEdible Flowers, which is based in Ballincollig, Co. Cork, have created the 'Berry Box Love', a mouth-watering assortment of chocolate dipped strawberries decorated to perfection with red glimmer heart and pearlised red dragées. The sweet treat can be delivered to your or your mum’s door by a Deliveroo rider. "At IncrEdible Flowers we aim to create elegant and unique chocolates for every occasion. With the help of Deliveroo, those who might have forgotten Mother’s Day need not live in fear as help is just a few taps away," said Denisa Slastanova at IncrEdible Flowers. The custom made Berry Box Love will be available on Deliveroo for €28 and can be pre-ordered exclusively via Deliveroo on Saturday for delivery on Sunday, March 11 while stocks last. Ideal for a thoughtful person living far from home - or just someone who will otherwise forget to pick up a gift.